Here is the first typewriter I ever owned. It’s a manual Royal typewriter, though I don’t know the model, and I haven’t found one like it for sale on eBay (and, yes, I’ve looked). If you can identify it, please e-mail me at netadams @ gmail. Update: It is a Royal Futura 400. I’m guessing that it is a 1960s model as I believe my mother purchased it when she was in college. She handed it down to me in the 1980s, and I used it to practice typing mainly, though I did produce a little poetry on it. After I moved away, it got lost somehow. Second Update: My father purchased it in the early 1960s, and apparently traveled the world with it. I only ever saw my mother typing on it, so I assumed. Hi, I am writing a book about growing up in the 1960’s in Taranaki, New Zealand. 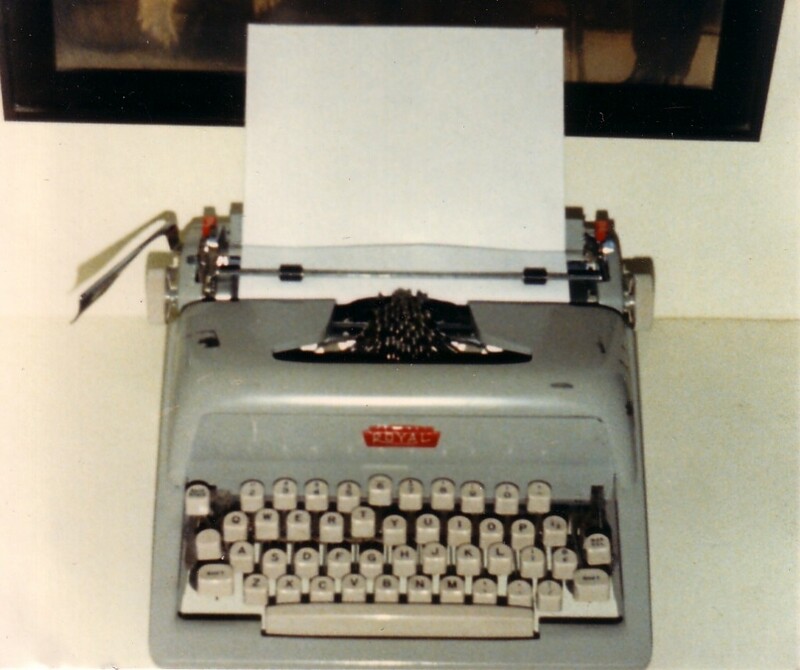 I would love to use the photo of your 1960’s typewriter in my book please with acknowledgement to you in the book. I do need your permission though please.